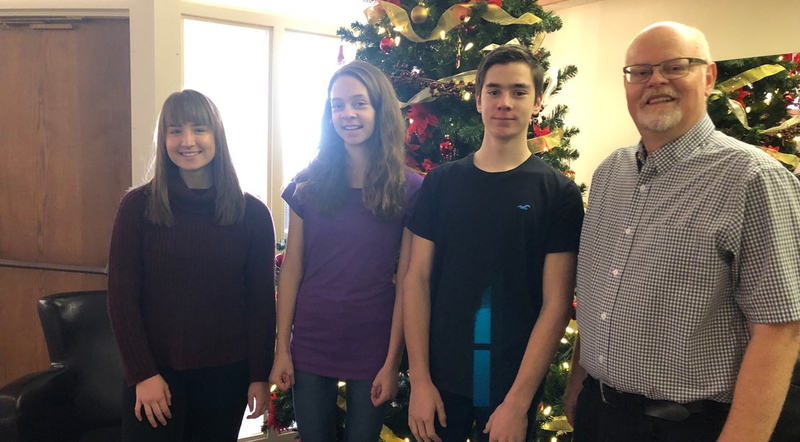 BLUMENORT, Man.—On Sunday, Nov. 25, 2018, Thea Reimer, Karalee Reimer, and Tyler Reimer committed their lives to the Lord by way of baptism. Pastor Anthony Reimer administered the baptism. Amy Lange, who was baptized at Eagle Lake Bible Camp earlier this summer, also became a covenant member. Prayers for these young people would be appreciated as they continue on the path of Christian life. Here is an update of the events from last summer at Eagle Lake Bible Camp written by Alain Reimer: Another summer of Eagle Lake Bible Camp has come and gone and, once again, it has been a beautiful testimony of God’s grace and provision. We run seven weeks of camp with a majority of our staff being volunteers; and every year it is amazing how God not only provides Eagle Lake with the staff it needs, but with amazing staff of all ages. These staff are eager to serve our Lord by giving of themselves physically, emotionally, spiritually, and financially to ensure that as many campers as possible can experience God’s love and grace throughout the summer. We continue to pray and trust that the lives that were influenced by the grace of God this summer would continue to grow in faith through the winter, whether through our follow up events and mentoring program, or through the youth groups and churches that are situated near the campers wherever they live. God has given us an incredible message of love and grace that is for all people; and it is truly a rich blessing to think of the hundreds of children and teens who were able to hear and experience that love and grace through the Eagle Lake Bible Camp staff this summer.